Another year has flown by and in less than one month we will be celebrating all that we have to be Thankful for once more. With the holiday season fast approaching, now is the time to begin planning for elder care needs during this often busy time. For some family caregivers, the holidays mean extra errands and obligations, and finding someone to fill those needs for elder care can be a challenge. Working now to schedule appointments with a homecare provider who uses a homecare software or homecare system, like ClearCare Online, can ensure that you have the coverage when you need it. And with the help of a homecare system, scheduling appointments in advance is a simple process for agencies. Should caregivers need to leave on a holiday trip, homecare coverage can also help make sure that seniors get the help they need while their primary caregiver is away. And, by using a homecare agency that utilizes ClearCare Online’s homecare software, family caregivers can check in online to see when caregivers came and went, as well as what care was provided. If you’re staying closer to home this holiday season, having a senior loved one over for a holiday celebration can be an exciting, yet worrisome prospect. For some seniors with dementia or other cognitive conditions, the idea of being away from their comfort zone and around crowds can be intimidating. 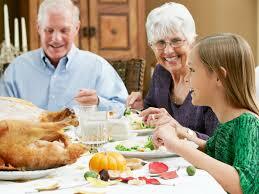 However, many seniors still enjoy being socially active. For those who do, scheduling a shift for a homecare provider to help a senior get ready for a holiday party, or provide transportation or companionship can be a great helping hand. With a homecare software or homecare system, like ClearCare Online, agency administrators can enter specific tasks to help seniors prepare for an outing – like assistance with getting dressed or dolled up – making the experience all the more enjoyable. No matter what your holiday plans are this year, planning for elder care now can help reduce some stress as the important dates approach.